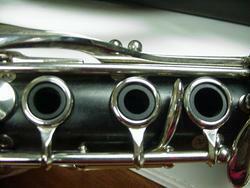 The Clarinet of the Twenty-First Century is a multimedia package (audio clips, video clips, interactive website, written text and music) that contains information on new sonic resources for soprano (Bb), bass, and e-flat clarinet in the form of more than 900 pages of text, illustrated by more than 300 examples and charts by the author and from music since 1960 by close to 100 composers from throughout the world. More than 1000 sound files are available on 23 CDs or as MP3 downloads, as are more than 75 etudes and exercises written by the author to help the clarinetist learn to produce these sounds. A DVD movie (with companion booklet) and DVD-ROM (both on one disc) are also available that present a significant portion of this material in text, visual stills, video clips, audio clips, and links to references and websites of publishers, composers, and other areas of interest for today's clarinetist. This website is linked from the DVD in order to provide updated research pertinent to the project. 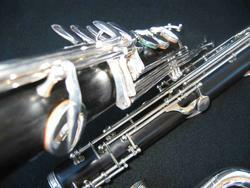 In sum, The Clarinet of the Twenty-First Century documents 538 alternate fingerings, 1200 multiphonics, 1042 microtones, 71 multiphonic trills, and numerous other sounds and techniques. The Clarinet of the Twenty-First Century is a valuable resource for not only professional and advanced clarinetists and composers, but for clarinet teachers and students, as well. Music written during the last forty years has especially challenged clarinetists to master new techniques and sounds in order to expand the expressive capabilities of their instrument. Much of what players learn through this process can also be applied to mastering the language of the standard literature (alternate fingerings is one example), and towards developing a stronger basic technique – smoother legato, and greater control of tone and phrasing nuances. Most importantly, learning to produce extended techniques improves liste ning skills and opens one's musical imagination. 1) to expand the sonic resources of the clarinet based on peculiarities of its acoustical design (including a history of the evolution of its design since c. 1839) and of its current performance tradition: a wedding of theory and practice. 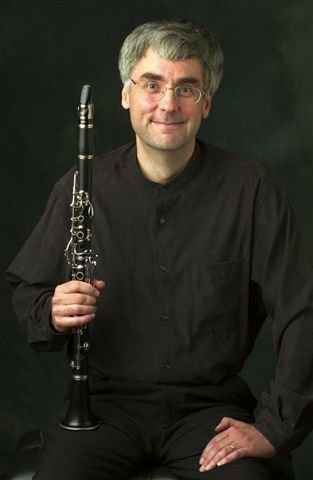 The need for this approach has been especially supported by my experience in performing or reading countless new works that utilize new techniques for the clarinet in an awkward fashion, or that do not take musical advantage of some inherent strengths of the instrument. 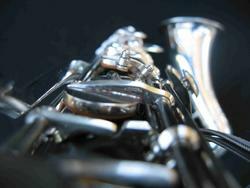 Charts of new sounds have been included, based on acoustical principles of the clarinet. I hope that this approach will help to overcome the idiosyncratic and empirical nature of earlier studies. 2) to present suggestions to composers for use of extended techniques in appropriate musical contexts. These are illustrated by musical examples (represented by notated scores and sound recordings) from a variety of works written since 1960 (with an abundance of works since 1985 by Asian composers), and by musical examples that I have composed. My goal in these illustrations has been to avoid recipes for musical compositions or suggestions of rigid limitations. 3) to present progressive exercises and etudes (more than 50 exercises and 30 etudes) to lead the clarinetist towards gaining facility with these new techniques/sounds. Learning is prescribed through written descriptions, and illustrated with aural (audio sound files) and visual (DVD) examples. I have attempted to coordinate as closely as possible the methods of learning extended techniques with methods of learning more familiar conventional techniques.